This weekend, the Tygart Valley Homestead School celebrated the 75th anniversary of the first graduating class. The Great Depression was extremely tough for West Virginians. Thousands of timber and coal jobs were lost across the state. 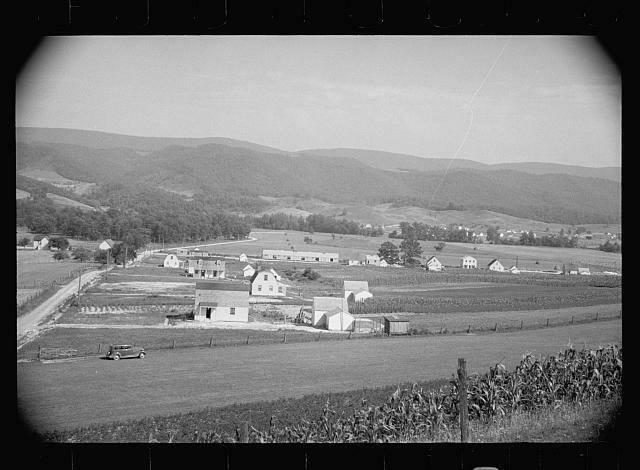 Like two other sister communities in West Virginia, Arthurdale and Eleanor, the Tygart Valley Homestead was a federally funded program in Randolph County that offered struggling West Virginians the chance to relocate to an area with new job opportunities. Residents all lived in rent-to-own housing built by the Civilian Conservation Corps. Patty Lindsay Piercy’s family came to the Tygart Valley Homestead in 1937. Before they moved, Piercy says her family had been going through a very difficult time, economically. “They definitely were struggling. My dad worked in the coal mines. And it was just a few days a week maybe if they was lucky enough to work. They didn’t own their own home," said Piercy. Piercy was one of about 70 current and former residents of Dailey and East Dailey who joined together on Saturday to celebrate the 75th anniversary of the first graduating class of the Homestead school. “It’s still a place where you’re coming home. Even though it’s been that many years, we’re still coming home,” said Piercy. Sonny Knaggs also grew up on the Tygart Valley Homestead. Knaggs is president of the Tygart Valley Homestead Association, a grassroots organization that’s trying to find support to restore the Homestead School, which serves 140 students kindergarten-fifty grades and is in need of upgrades. “We would like to see this school building used at least another 50 years,” said Knaggs. 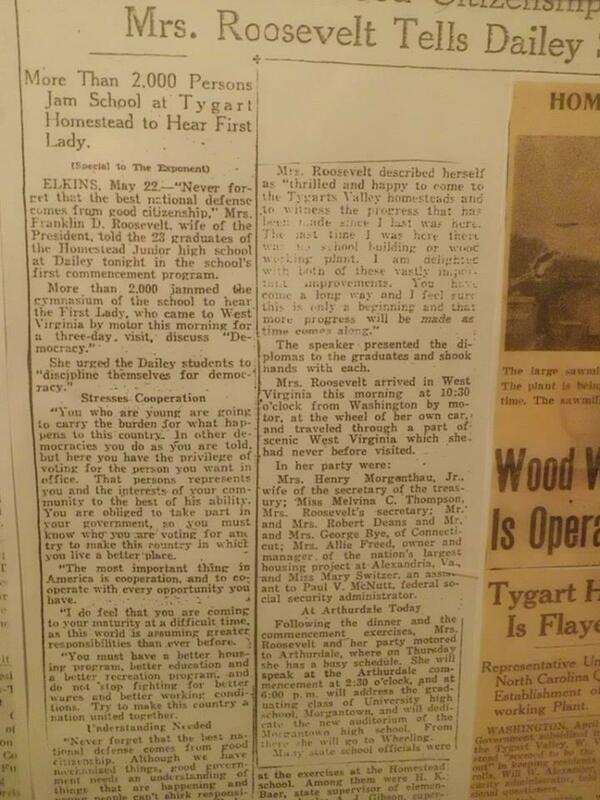 During the celebration this weekend, an Eleanor Roosevelt impersonator recalled the history of when the first lady visited Tygart Valley and even attended a local square dance at the homestead school. The anniversary celebration also marked the launch of a new photo exhibit of historic photos of the Homestead community. This summer, the photo exhibit will travel to libraries and museums throughout West Virginia, beginning at the Beverly Heritage Museum. 95-year-old Elmer Rich, a famous old-time fiddler, died this past June 20th, West Virginia Day, at his home in Westover, West Virginia. He’ll be missed throughout these old hills.